WWE Tap Mania - Become a WWE Superstar and battle alongside WWE’s greatest Superstars and Legends. Collect Superstar cards, build your deck, and rise up to become the WWE Champion. Get in the ring and never tap out​! - FEATURING John Cena, Undertaker, Brock Lesnar, The Rock, Triple H, Roman Reigns, AJ Styles, Charlotte, The Miz, Randy Orton, Sasha Banks, Dean Ambrose, Eddie Guerrero, Ultimate Warrior, and many more! © SEGA and/or The Tap Lab, Inc. SEGA and the SEGA logo are registered trademarks or trademarks of SEGA Holdings Co., Ltd. or its affiliates. All WWE programming, talent names, images, likenesses, slogans, wrestling, moves, trademarks, logos and copyrights are the exclusive property of WWE, and its subsidiaries. All other trademarks, logos and copyrights are the property of their respective owners. © 2017 WWE. All Rights Reserved. 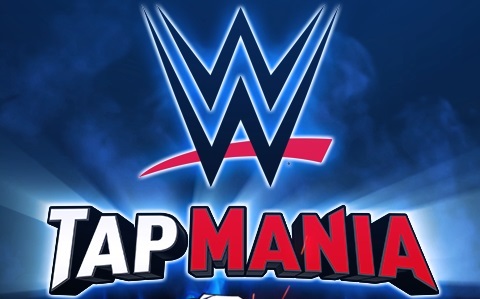 WWE Tap Mania: install APK and play the game.